A special present just for you! | Blot Interactive | Imagination at play. 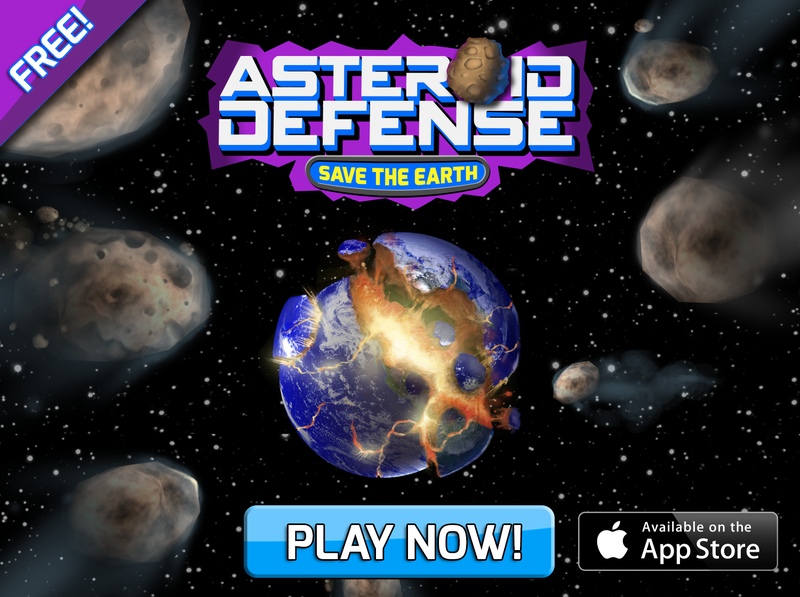 It’s called Save the Earth: Asteroid Defense, and it’s a fast-paced arcade style game which plays exactly how it sounds – you are Earth’s only hope as you defend it from endless waves of asteroids. Take control of an orbital platform to fend off the barrage of space rocks and save the Earth! The game first began as a game jam project at TOJam. It proved to be so much fun that we decided to polish it up and share it with the world. The best part is that the game is out on the App Store RIGHT NOW! And it’s absolutely FREE! (with a little something we’re trying with ads). So if you have an iPhone/iPod or iPad, go check it out, and enjoy!